Constructed of heavy-gauge steel, it contains 6 ultra-quiet, brushless Magnetic Levitation DC fans that silently move up to 60cfm of air. 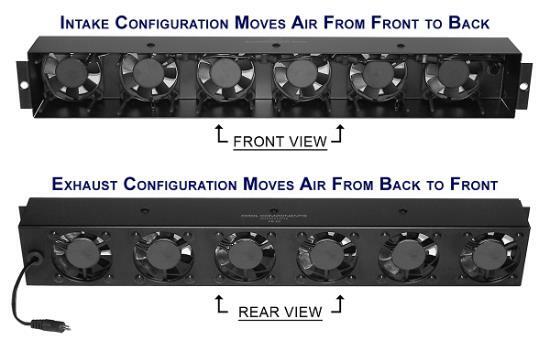 The fans provide for vertical or horizontal mounting, do not create unwanted electrical system noise like other fans on the market and utilize a custom mounting solution. Cool Components was the first to introduce the custom fan mounting solution which eliminates noise caused by fan vibration. The mounts also facilitate easily changing the direction of air flow to provide maximum flexibility. Powered by an adjustable voltage Universal Power Supply, the fans can be run silently or more aggressively depending on the application. Additionally, the SlimSix System is compatible with all Cool Components temperature controllers for automated fan control. The SlimSix System from Cool Components offers extreme versatility and great value for the custom installer. 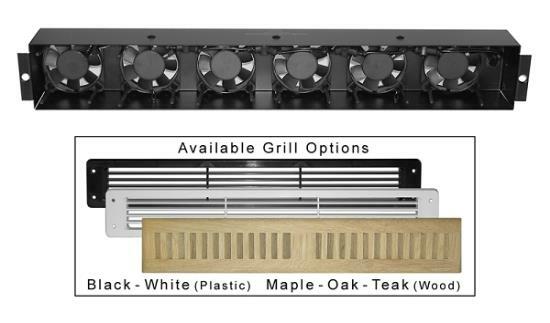 The quality construction and innovative features coupled with the available grill and fan automation options make this product the obvious choice for many applications.